CLICK THIS LINK FOR SPIKE FEATURES OVERVIEW (PDF). The full line of 2016/17 SPIKE bulldog bindings are currently available. 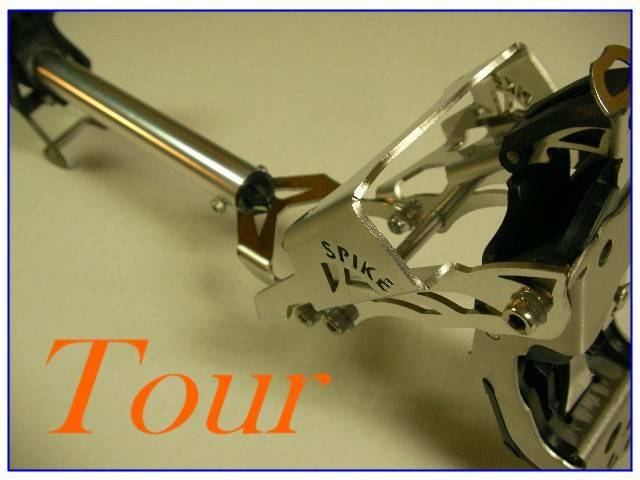 The lineup includes SPIKE *3 pin* (75mm step-in 3 pin binding with or without ski brake), SPIKE *Tour* (75mm step-in touring binding), SPIKE *XT* (75 mm lift service binding with ski brake), and SPIKE *NT* (NTN compatible). 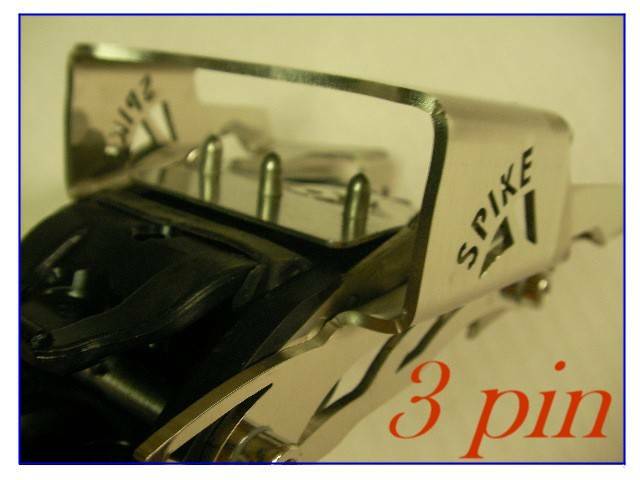 All SPIKE bindings have a 6 hole mounting pattern for solid fixation to the ski. All of our bindings incorporate pivoting step-in toe box and the unique 'bulldog' clamping action that give these bindings an unparalleled level of responsiveness. 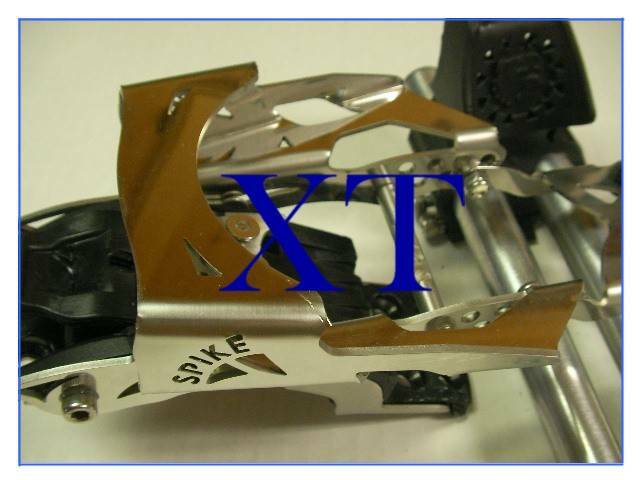 A ski brake is incorporated into several SPIKE models. We custom build our bindings based on skier specifications for optimal performance and convenience; using different spring load, boot length adjustments, and single or double barrel heel assemblies. 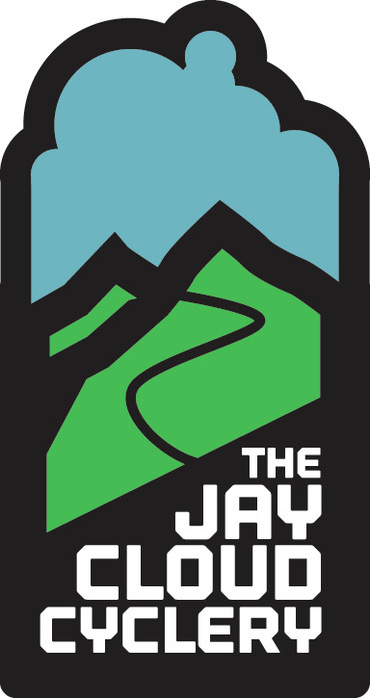 PLEASE NOTE: For 2016/17 season, SPIKE bindings are being distributed exclusively by the Jay Cloud Cyclery. The link on the left will take you to Jay Cloud Cyclery's main page. Owner of Jay Cloud is Ethan Dahl; a great guy, and an excellent mechanic. He will meticulously build a pair of SPIKE bindings for you- the same great, custom built bindings from the 'Northern Spine of the Green Mountains' that I have been assembling for you over the many years. He is also supplying parts and rebuilds. Click here to go to SPIKE binding ordering page. Contact info@thejaycloud.com or call 802-988-0049 to order bindings. Click here for link to Jay Cloud's contact page. 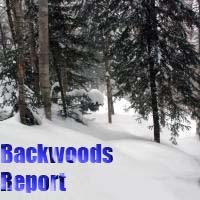 Burnt Mountain Designs LLC, is a small group of telemark enthusiasts in northern Vermont that specialize in step-in telemark ski bindings. Everything is designed and assembled in house to your specific needs, and our sales are primarily direct to the customer. Our patented toe piece pivots wide open, allowing a skier to slip their boot easily into the binding, and lock in with one swift snap. 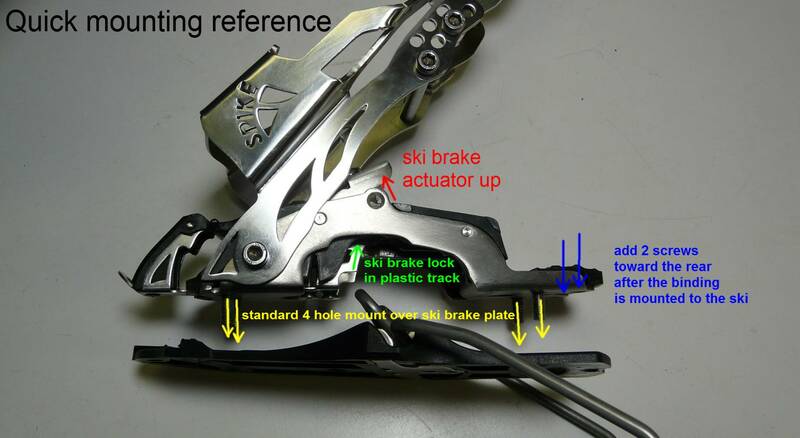 A ski brake (optional for touring bindings) deploys when out of the binding and holds the ski in place when stepping into the bindings. 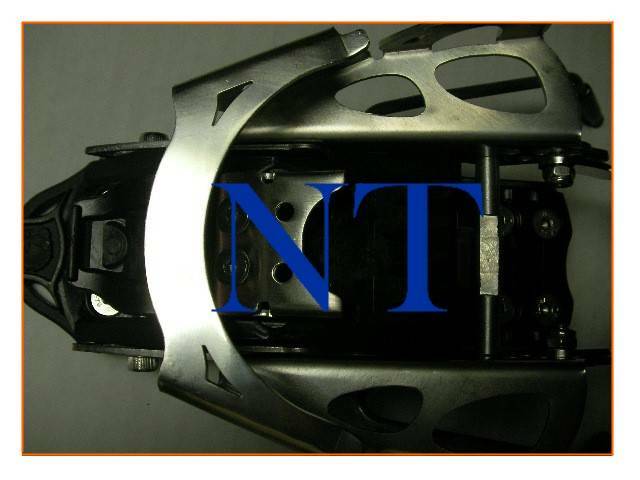 Our specialized toe box has also been adapted to the NTN system. We offer skiers the options of either 75mm norm or NTN compatible bindings. 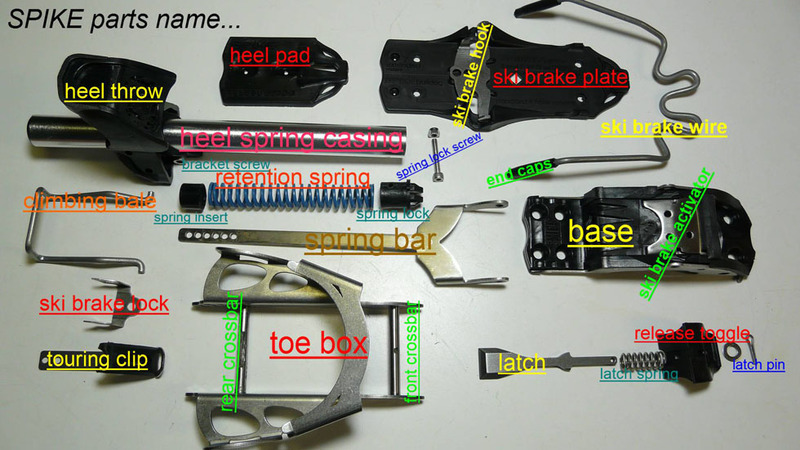 All of our toe boxes heel assemblies are interchangeable within the SPIKE series, and we build each pair of bindings to our customers specifications. DISCLAMER: Burnt Mountain Designs LLC is a limited liability company. 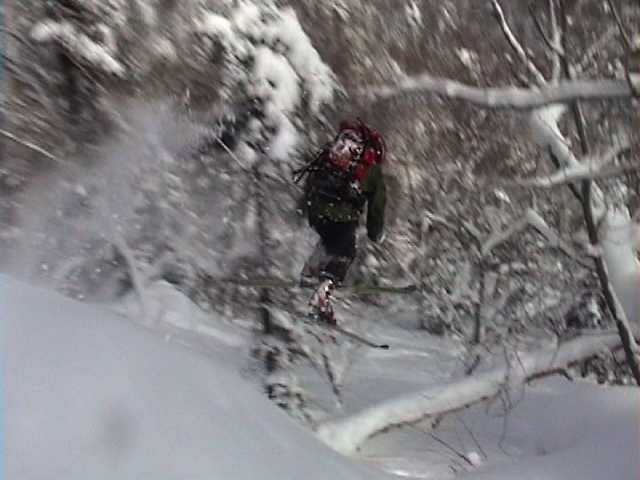 Skiing is an inherently dangerous sport. We strive to make this product safe and reliable, but there are always unforeseen hazards. Given enough time and stress, all equipment eventually fails. There is no safety release on this binding. Please be aware that if you choose to use of Burnt Mountain Designs LLC products, you do so at your own risk. It is your responsibility to be familiar with your equipment, keep it in good condition, and use good judgment when skiing. Copyright Burnt Mtn Designs USA® 2002 All Rights Reserved.